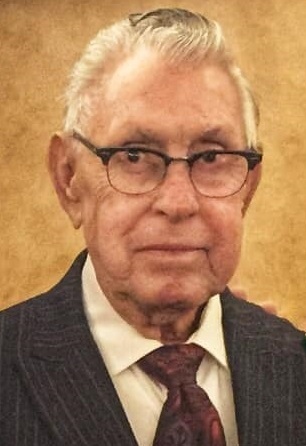 William D. Black, 82, of Monee, died Wednesday, October 17, 2018. He was born October 18, 1935, in Chicago. He was a graduate of Calumet High School in Chicago. He served in the US Army from 1955 to 1957. He was a banker for 40 years with the First National Bank of Chicago (now Chase). He enjoyed golfing, bowling and darts. Mr. Black is survived by five sons, Scott (Betsy) Black of Ft. Wayne, Ind., Donald (Lori) Black of Redding, Calif., David Black of Sacramento, Calif., John “Jay” (Lori) Black of Portland, Ore., and Matthew (Jill) Black of Elgin; a daughter, Tammie (Chris) Hoyt of Holden, La. ; step-children, Ed (Carmen) Wlezien of Plainfield and Teri Wlezien (Joe) Wood of Villa Park; 24 grandchildren; and nine great-grandchildren. He was preceded in death by his wife, Elaine Cuprison Black, whom he married in 1988; his first wife, Barbara Hyde Black, whom he married in 1959 and divorced in 1983; his parents, Charles “Scottie” Black and Charlotte Becker Black; two sons, James Black and Robert Black; and a brother, Charles “Mick” Black. Celebration of his life 3 p.m. until the hour of services at 4 p.m. Sunday, November 11, at Trinity Evangelical Christian Church in Monee. Memorials may be made to American Legion Post #1200. Cremation rites accorded.